MNP is one of Canada’s largest full-service chartered accountancy and business advisory firms in Canada. 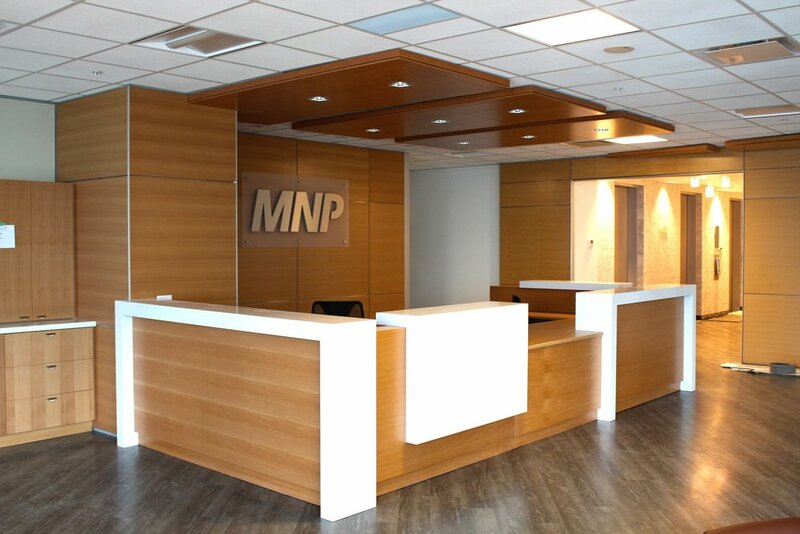 Headquartered out of Calgary, Alberta, MNP has offices from Vancouver Island to Montreal totalling over 4000 staff. Since 2006, Unison has been the chosen as the construction management firm for MNP across the Lower Mainland. Unison was commissioned to build 56,000 Sq. Ft. in their new flagship offices at 1021 West Hastings utilizing a brand approved standardized design. After the success of the Vancouver MNP office project, Unison was then commissioned to design and build their second major development project in Surrey of approximately 36,000 Sq. Ft in 2015.